Welcome back to History Undressed our regular third Tuesday guest blogger, Tara Kingston! Today she's written another Bold, Brilliant and Brave heroine! And actress! I hope you enjoy it as much as I did! Greetings! I’m Tara Kingston, historical romance author and lover of all things Victorian. I’m fascinated by history through the ages, especially the bold, brilliant women who helped shape our world, and I’m delighted to be a monthly contributor to History Undressed. I’ll be sharing facts about daring women through history—some famous, some not so well-known, but all remarkable with their own unique contributions. 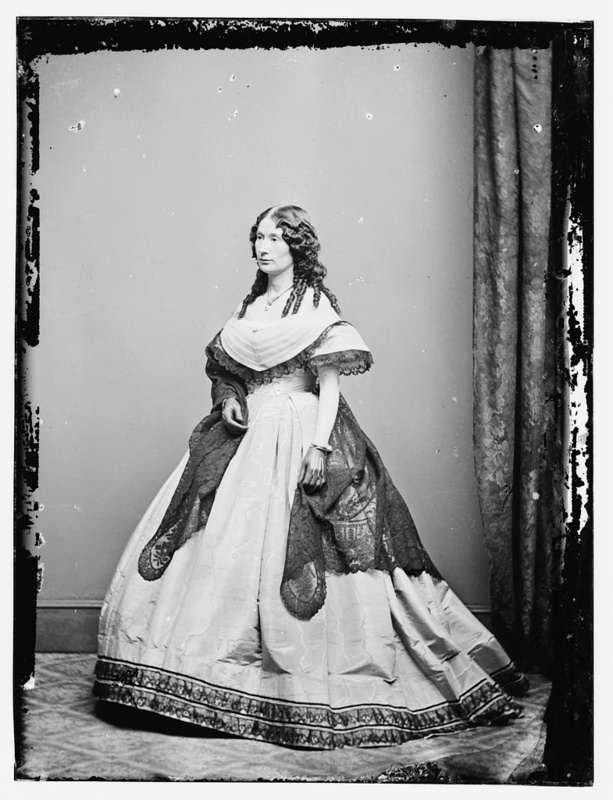 Today, I’m taking a look at actress Laura Keene, a witness to the assassination of Abraham Lincoln. Our American Cousin…a rather bland title for a comedic stage play that has been forever connected to one of the most infamous acts in American history, the assassination of Abraham Lincoln. 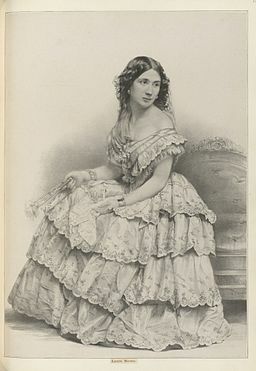 The star of that play, Laura Keene, is perhaps best known for her performance in that play and the comfort she may have offered the stricken President after he suffered his mortal wound, but she made her mark on the theater world long before that tragic night, becoming a powerful theater manager in New York during the Victorian era. ~ Born in England on July 20, 1826, the former Mary Frances Moss was a young mother of two daughters when her husband, a former British Army officer, was convicted of a crime and reportedly sent to Australia on a convict ship. On her own and without funds, she followed the footsteps of her aunt, British actress Elizabeth Yates and embarked upon a career as an actress. ~ Changing her name to Laura Keene, she made her professional debut in London in 1851. Other rolls followed, and a year later, she traveled to America to become the leading lady of a stock company at Wallack’s Theater in New York. After little more than a year with at Wallack’s, Laura Keene left the stock company and leased a Baltimore theater for her performances, then traveled to California and Australia as a touring performer. ~ Laura Keene toured in Australia with Edwin Booth, brother of assassin John Wilkes Booth. ~Returning to New York in 1855, she leased the Metropolitan Theater, renaming it Laura Keene’s Varieties and serving as manager, director, and star, becoming the first female American theater manager. The following year, she oversaw construction of her own theater. Laura Keene’s Theater opened on November 18, 1856, and it was here that the play Our American Cousin made its debut in 1858. 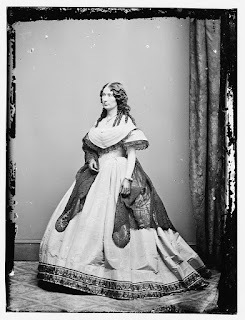 ~ After President Lincoln was shot by assassin John Wilkes Booth, legend has it that Laura Keene offered comfort to the wounded man, cradling his head on her lap, thereby staining her dress with his blood.